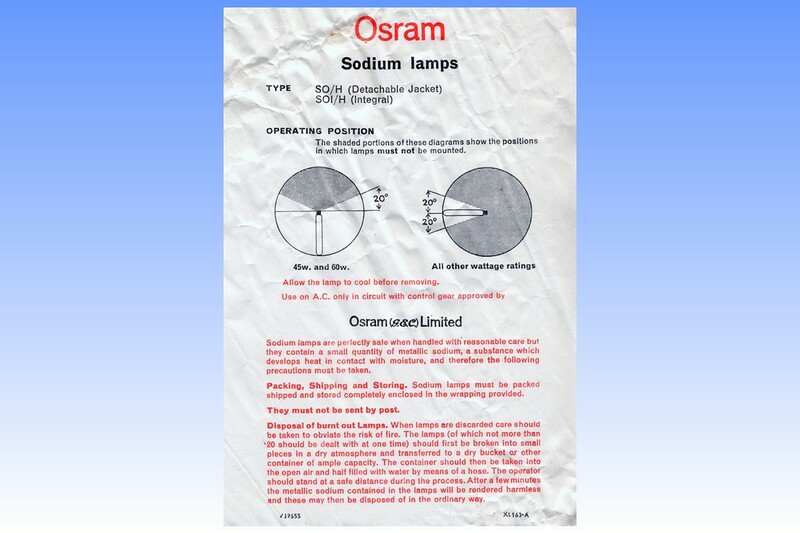 This SO/H sodium vapour lamp was manufactured by the General Electric Company of England under their Osram brand name in November 1965. The lamp is in mint unused condition and has all of its original packaging intact. 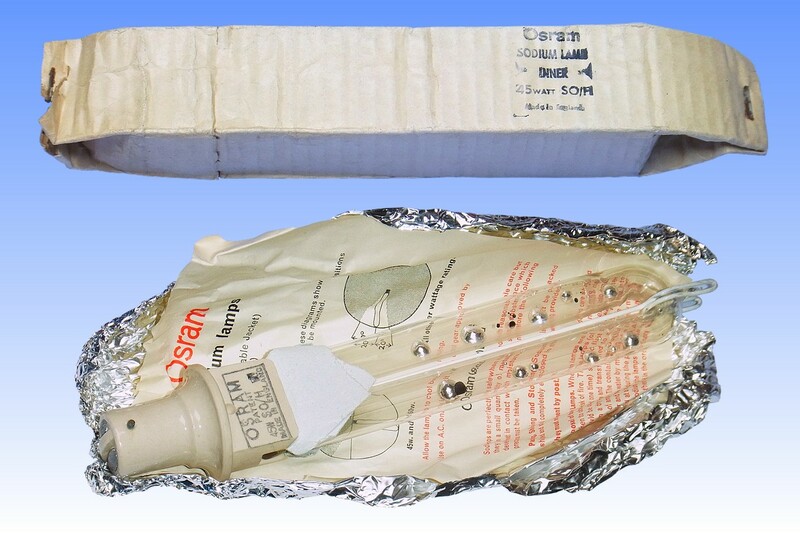 This includes two small pieces of asbestos paper placed between the arc tube and porcelain cap to prevent scratching the glass near the delicate seals, and the whole lamp is wrapped in heavy tinfoil sheet to safely contain the sodium in the event of breakage. 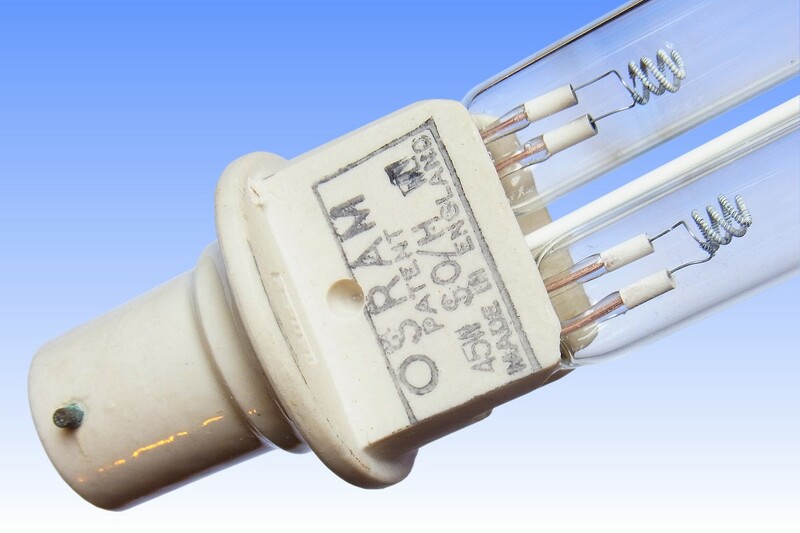 This is one of the last SO/H type lamps that was manufactured, having been made at the company's Shaw works near Manchester, England. 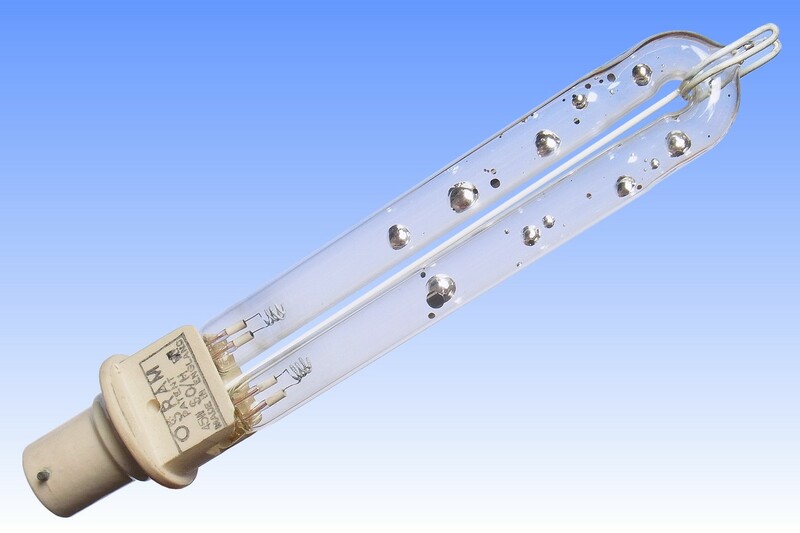 Most of its constructional features are shared with the more modern SOI type lamps which were being manufactured at the same time, so it exhibits the more recent electrode assembly which makes use of a beehive-shaped cathode coil complete with magnesia insulators to offer some protection against sodium attack at the weak glass-to-metal seals. The glass type used is almost certainly an X96 barium-aluminoborate lining flashed onto the inside of an S97 soda-lime glass tube, as manufactured at the GEC's Lemington glassworks. 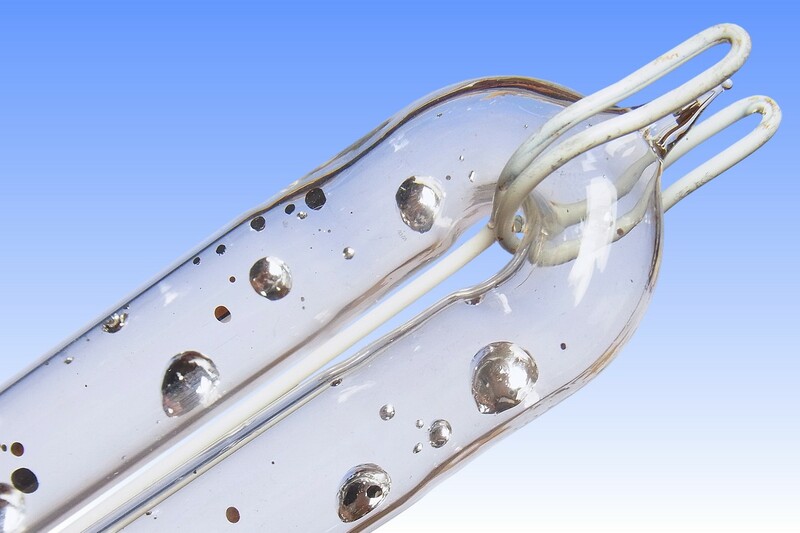 As a result lamp life is considerably extended from the reduced argon cleanup rate of this glass, and the sodium remains in several small globules where it was originally located because this glass offers much better adhesion to liquid sodium. 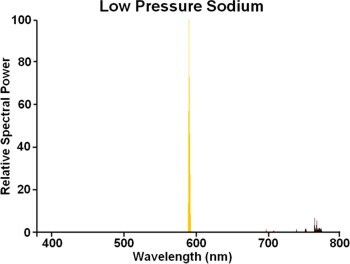 Although the lamp is new and therefore no sodium staining is apparent, this glass type would turn brown at a much slower rate than for earlier SO/H lamps so the lumen maintenance of this design is also greatly enhanced.